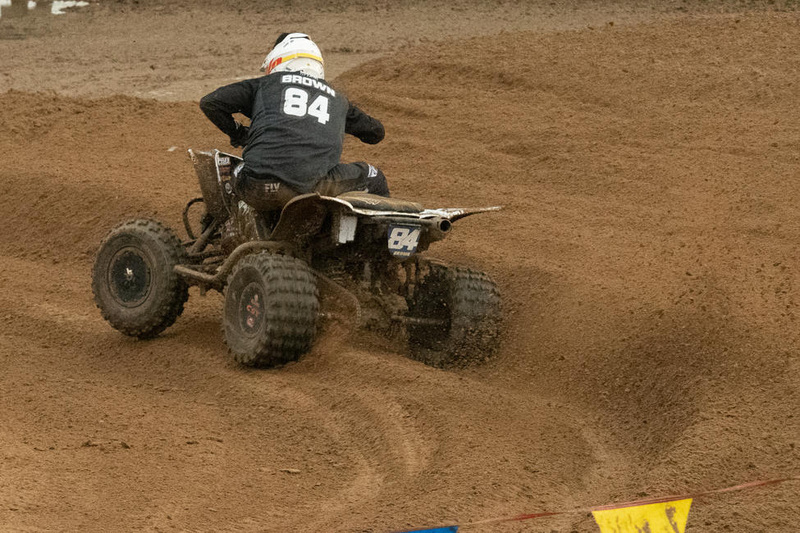 Joel Hetrick earned the moto one win, but was forced to back off the throttle during moto two. 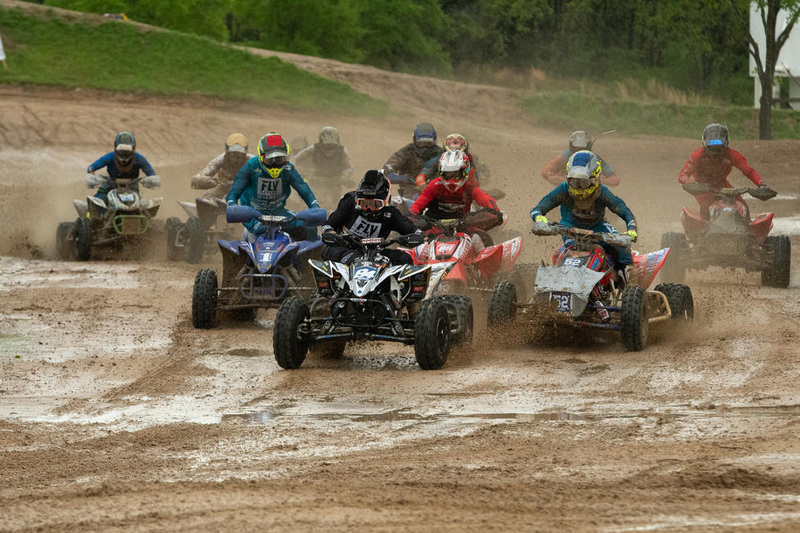 The 2019 ATV Motocross National Championship (ATVMX), an AMA National Championship, headed to the state of Texas this past weekend for another highly anticipated round of racing at the Underground ATVMX National. 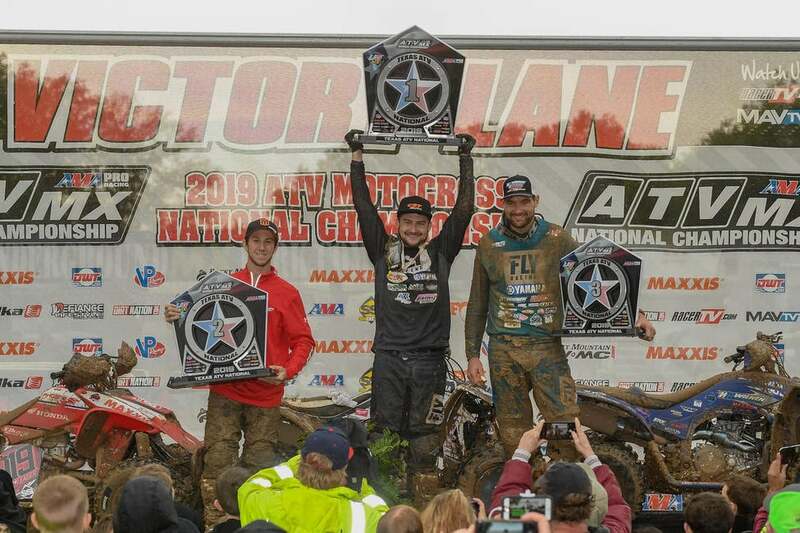 The racing action would not disappoint even as mother nature did her best to wreak havoc on a pristine motocross track, which featured a lot of changes since the series was there in 2018. Tbrown 84 Training/CST Tires’ Thomas Brown would take full advantage of the conditions and stand tall in the saddle as he claimed the overall win. 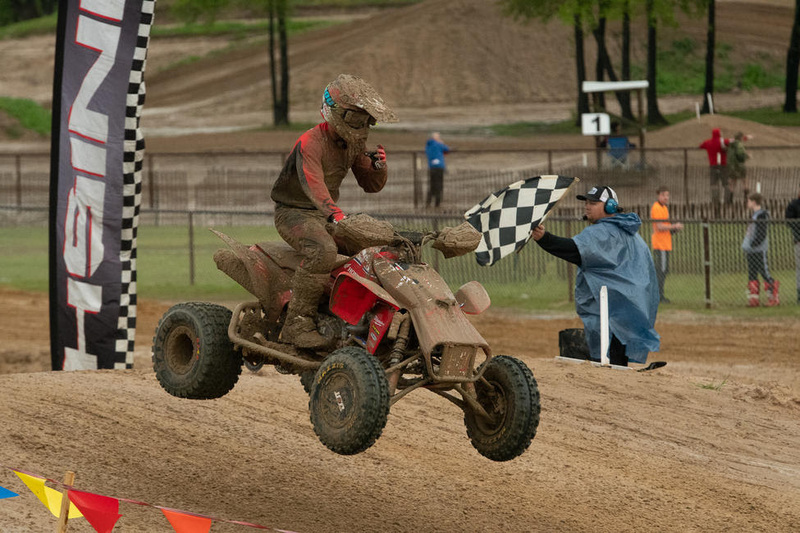 Thomas Brown grabbed the moto one holeshot in some very muddy conditions. Dylan Tremellen led the field in moto two as he grabbed the holeshot and early lead. Brown went 2-1 to earn his home state overall win. 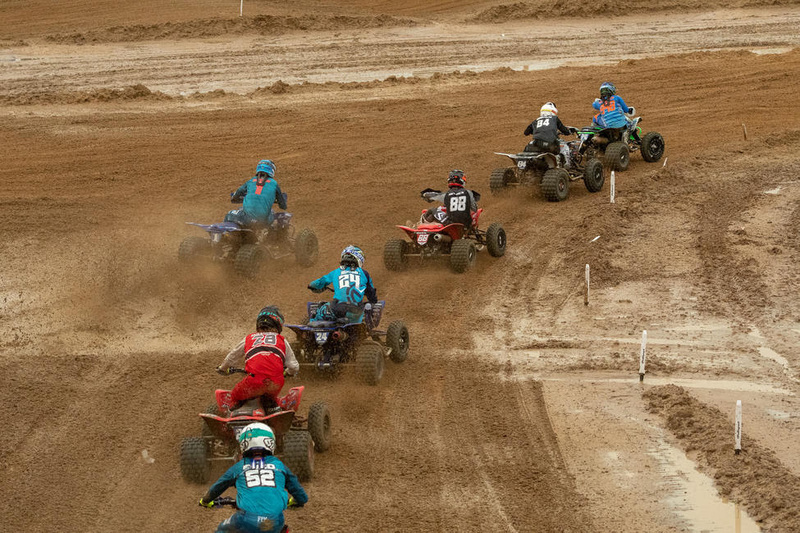 Thomas Brown (center), Joel Hetrick (left) and Chad Wienen (right) rounded out the top three in Texas.